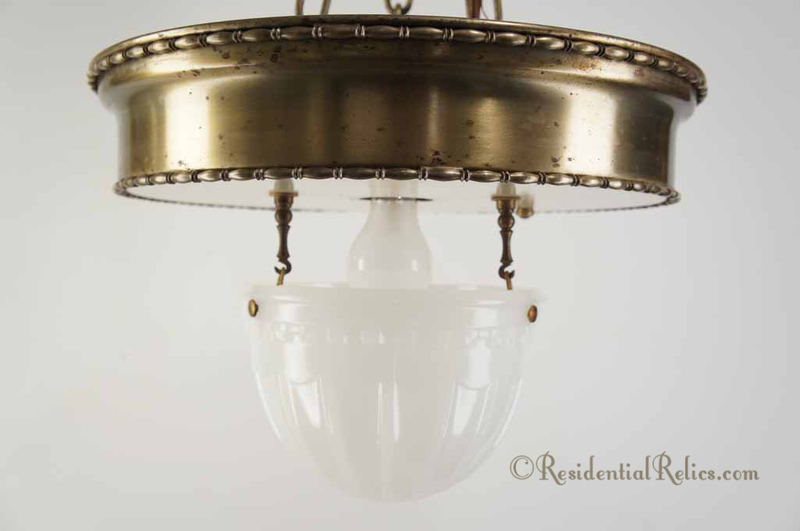 Large 3-chain antique brass pendant light with inverted glass dome, circa 1910sShop our online catalog for a great selection of authentic antique and vintage lighting and hardware! 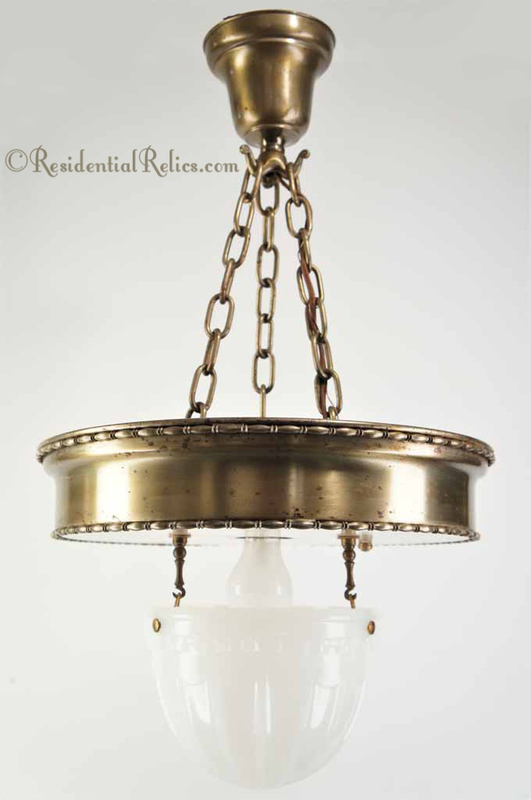 Large antique 3-chain brass pendant fixture with Brascolite inverted glass dome. Chains and canopy can be removed to convert to flush-mount ceiling fixture.